Made it. Wasn't sure I would. Have managed to 'post' every day if not take one, due to life's circumstances. I have thoroughly enjoyed myself, made lots of new cyber friends. Having started the project with a bridge camera, moved up to a half-frame DSLR and ended year one with a full-frame DSLR which is on P or M more often than not, I can say that I've learnt so much. Thank you to all who follow me, who stop by to view & comment on my pics, fav the odd one or two, and who provide welcome criticism. As Carole has said on her pic today, it's become a way of life now and I shall be continuing with it. 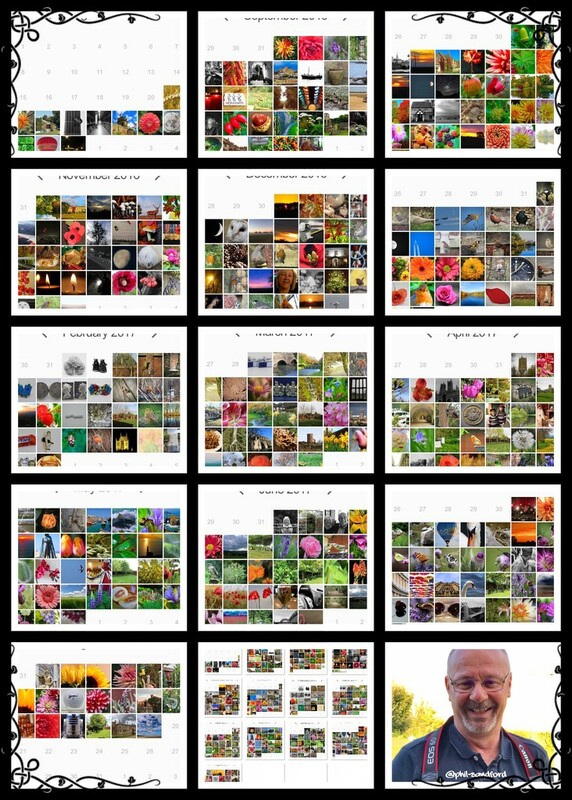 Carole's pic today is like mine; a reflection and collage of our first year on 365. Now the challenge is to take one a day!!! Congratulations to you both. It does become an addiction doesn't it !! @30pics4jackiesdiamond Be nice. Unfortunately life doesn't always permit it. @paul10 thanks buddy. Collage was put together with the iPhone, a photographic collage App and a few choice swear words. @boatman137 Thank you Shirley. Been fun. Well done Phil and Carole! What a great way to celebrate your year with us! Congrats, v pleased you're continuing! Congrats ... I journey well traveled ...I will never forget my first year and how it changed the way I see the world around me. big well done Phil so is it a year 2 for you now. @ezzzmaay @ludwigsdiana @elkereturns @johnsutton @365projectorgjenfurj @Cherrill @minifignation @fbailey @louannwarren @mandygravil @lesip @lovingandsharing @rjb71 Thanks all, for your comments on today's montage and for your views, comments, favs, criticisms, suggestions, tips and inspiration (particularly @paul10 who I've cribbed ideas from so so often) you've all greatly helped me on my journey. Congratulations. A great milestone. I look forward to following you for the next year. I love your collage of the year. Well done. Looking forward to year 2 - love the way you showed year 1 - and your ending shot of the photographer.